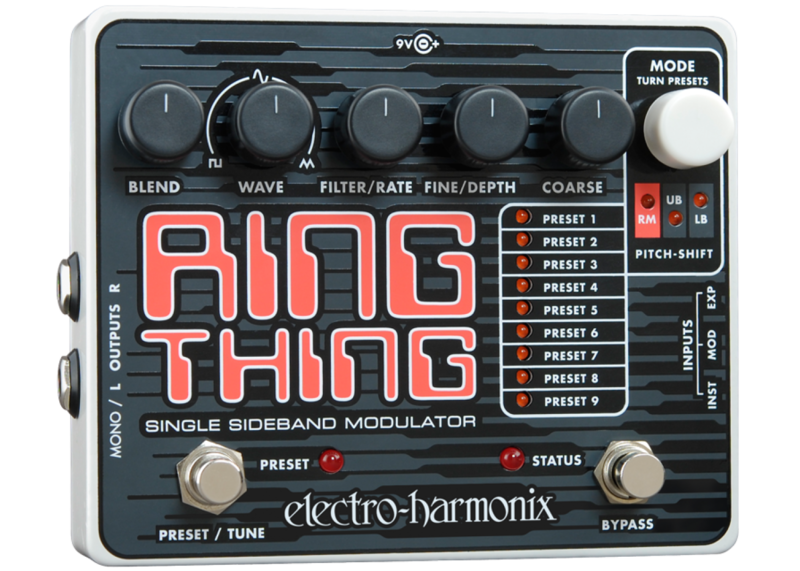 The Electro Harmonix Ring Thing is a single side band modulator. 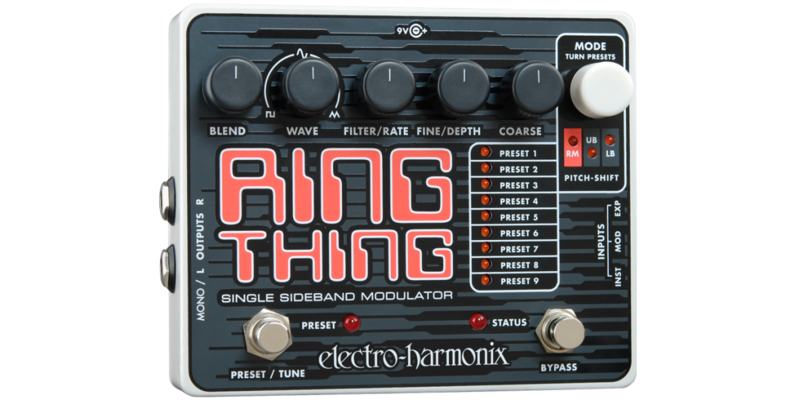 The Ring Thing is unique in that it can automatically tune to a note you play on your instrument. So all the modulation is still "in tune" with what you play. The MOD input allows you to use an external oscillator, and EXP input allows for an expression pedal.